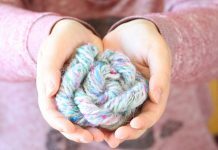 The Next Big Thing in Hand Dyed Roving and Yarn! How to Make Tweed Yarn in 10 Easy Steps! Have You Seen This Luxurious Frozen Fiber Gradient? See for Yourself Why Fiber Artist are Saying it Will Inspire You and Warm Your Soul. Which Harry Potter Spinning House Will You Be Sorted Into? 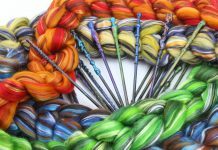 Feast Your Eyes on 4 New Limited Edition Magical Merino and Silk Fiber Blends! 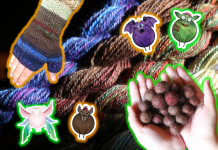 New to Felting Wool Balls? Here’s What You Need To Know! + Take a Peek at Our Spooky Mitts! 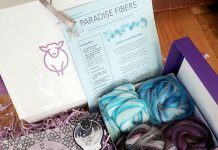 ParadiseFibers.com is your Spinning, Weaving and Knitting website. 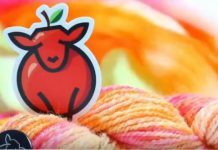 We provide you with the latest news and videos straight from the fiber arts community. Malabrigo Dos Tierras is HERE! © 2017 Paradise Fibers, Inc. All Rights Reserved.